I love doing our big events - honestly. 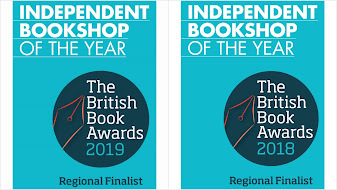 They can be exhausting, high-wire stress-fests that satisfy the adrenalin-junkie in me, but they are also great fun and will provide some very special memories when we eventually hang up our bookselling spurs. 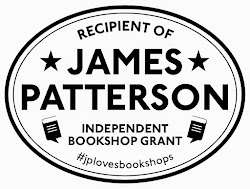 But the essence of independent, community bookselling - where the magic happens - is small events in the shop. And we have had two fantastic events in the last couple of weeks: the booklaunch of Judy Stubley's The Story Traveller, and - at the start of June - an evening of wine tasting with Richard Liwicki of Bothy Vineyard and wine writer Roz Cooper. Richard is a living, breathing advertisement for owning a vineyard (something he might be alarmed about - the economics of wine production are probably as precarious as bookselling). Almost uniquely amongst small vineyards in this country, his is a vineyard where the grapes produced go directly into the wine he makes, which allows him to produce boutique wines, and experiment with unusual grape combinations. Over the course of the evening, we tasted three wines produced from last year's production: The Doctor's Bacchus 2010, Oxford Dry 2010 and the splendid rosé, Oxford Pink 2010. Assisting him throughout the evening was wine writer and hugely experienced wine expert Roz Cooper, author of The Wine Year. Roz has worked in many different areas of wine production - from giving tours of vineyards, to importing and selling wines, to writing about wines in magazines and books. She was able to give her expert opinions on Bothy's wines - and also provide some context for the tasting. Roz is just the kind of wonderful speaker you'd hope for - someone with plenty of superb anecdotes from a life in wine. She is an entertaining and passionate speaker, from speaking about how she got started in wine, to her experiences in business, the changes happening in the global wine industry (not all of it good of course) and the importance of discovering and cherishing our local producers. Roz's book The Wine Guide is a gorgeously-produced distillation (or should that be fermentation?) of her experience, opinions, suggestions (yes, there are recipes in this book) and passion about her experiences with wine. There are interviews with great wine makers - this is a book you could sit and read in bed just as equally as cooking in the kitchen following "A Serious Sunday Lunch with a Spanish Twist". It was a very warm evening, and after the first two wines, we decamped to the coolness of the courtyard garden for the third. Richard answered lots of questions about his experiences of growing and producing wine. Bothy have won awards (and growing admiration) for their boutique wines, based on a reputation for experimentation and risk-taking coupled with attention to detail. There were questions about terroir: I was amazed to learn that the vineyard itself sits in a very special microclimate, on a narrow strip of almost pure-sandy soil which runs from Boars Hill down to near Faringdon, which means that water just runs away quickly after the rain. Bothy also use an array of environmentally-friendly techniques in the production of their grapes. (Update June 16th): congratulations to Bothy for winning four silver medals in this year's English & Welsh Wine of the Year Competition, including all three of the wines we tasted on the night!